He was aligned with the Yellow Book coterie of artists and writers. He was an art editor for the first four editions and produced many illustrations for the magazine. He was also closely aligned with Aestheticism, the British counterpart of Decadence and Symbolism. Aubrey Beardsley was the most controversial artist of the Art Nouveau era, renowned for his dark and perverse images and the grotesque erotica, which were the main themes of his later work. A sad story about his final days. [D]ear reader, let me kindly introduce you to the wonders of the so-called ANTIMACASSAR. In order to fully grasp what’s to be understood by the concept of an antimacassar, one has to undertake a voyage back into the 19th Century- a voyage into the curious world of Victorian fashion and cosmetics, to be accurate! As the devoted connoisseur of Yesteryear knows, it was the style in these days for a Gentleman to wear his hair in a carefully clipped coiffure [often in combination with sideburns, which were a token fashion item of the era] that was combed back rigorously and, in order to make it appear sleek and glossy, trickled with macassar oil. Thus, one could say macassar oil was the precursor of brillantine, which reached the height of its popularity during the rambunctious days of the Jazz Age. Today, the prospect of oily hair might appear to us as an outlandish fad, but back in the dear Golden Age gentlemen sporting an elaborately brillantined haircut were the pinnacle of elegance! headdress usually was a mere nuisance- grease spots all over the backrest of your sofa! Therefore, the canny Lady would pin pretty white doilies on the spot of the furniture where the Gentleman’s head would be. These doilies -as you might have guessed by now, dear reader- were called antimacassar, pragmatically named after the principal purpose they had to serve. Demimonde was a polite 19th century term that was often used the same way we use the term “mistress” today. In the 19th century it primarily referred to a class of women on the fringes of respectable society supported by wealthy lovers (usually each had several). The term is also used to refer to these women as a group, and the social circles they moved in. As a group, the demimonde did not form a ‘society’ any more than modern prostitutes form a society. But they did represent a social class of women in the latter half of the 19th century and into the early 20th century who were commonplace fixtures in the upper class of French, English and, to some extent, American society. In the United States and Britain, they were (and still are) also often referred to as courtesans, though that term in the 19th century applied to a profession (as the term “prostitute” describes a profession), whereas Demimonde/Demimondaine was used to describe a broader social class. The term is French, and means literally “half-world”, implying those women existed on the fringes of the “real world.” It derives from a comedy by Alexandre Dumas fils published in 1855 called Le Demi-Monde. Descriptions of the demimonde can be found in Vanity Fair, a novel which satirizes 19th century society written by William Makepeace Thackeray. Although it does not mention the terms ‘demimonde’ and ‘demimondaine’ (they were coined later), the terms were later used by reviewers and other authors in reference to three characters in it. 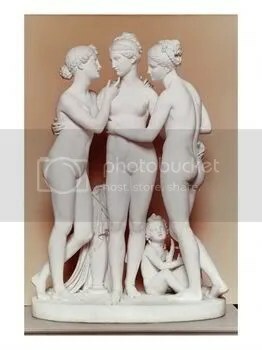 Thorvaldsen was born in Copenhagen in 1770 (according to some accounts, in 1768), the son of an Icelander who had settled in Denmark and there carried on the trade of a wood-carver. This account is disputed by some Icelanders, who claim Thorvaldsen was born in Iceland. Young Thorvaldsen attended Copenhagen’s Royal Danish Academy of Art (Det Kongelige Danske Kunstakademi), winning all the prizes including the large Gold Medal. As a consequence, he was granted a Royal stipend, enabling him to complete his studies in Rome, where he arrived on March 8, 1797. Since the date of his birth had never been recorded, he celebrated this day as his “Roman birthday” for the rest of his life. Thorvaldsen’s first success was the model for a statue of Jason, which was highly praised by Antonio Canova, the most popular sculptor in the city. He had worked on this statue for 25 years. In 1803 he received the commission to execute it in marble from Thomas Hope, a wealthy English art-patron. From that time Thorvaldsen’s success was assured, and he did not leave Italy for sixteen years. In 1819 he visited his native Denmark. Here he was commissioned to make the colossal series of statues of Christ and the twelve Apostles for the rebuilding of Vor Frue Kirke (from 1922 known as the Copenhagen Cathedral) between 1817 and 1829, after its having been destroyed in the British bombardment of Copenhagen in 1807. These were executed after his return to Rome, and were not completed till 1838, when Thorvaldsen returned to Denmark, being received as a hero. He died suddenly in the Copenhagen Royal Theatre on March 24, 1844, and bequeathed a great part of his fortune for the building and endowment of a museum in Copenhagen, and also left to fill it all his collection of works of art and the models for all his sculptures very large collection, exhibited to the greatest possible advantage. Thorvaldsen is buried in the courtyard of this museum, under a bed of roses, by his own special wish. The Thorvaldsen museum was started in 1839 and was designed by Danish architect H.G. Bindesbøll. Except for the regular collection, there are various exhibitions of new and young artists. Helping new talent was one of the last wishes of Thosvaldsen. Apart from Thorvaldsens work, there are also various paintings from his own collection, mostly from Danish and Norwegian painters whom he met in Rome.